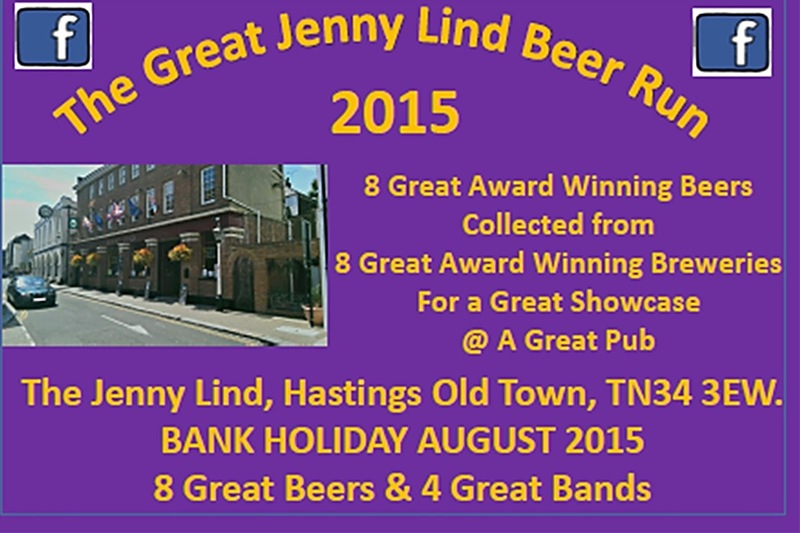 Inspired by the Beaujolais Runs of the 1980s, Linda Challis & KC decided it would be great to offer their customers at the Jenny Lind, Hastings Old Town, a selection of 2015 Champion Beer of Britain Category Winning Beers over this August Bank Holiday weekend. 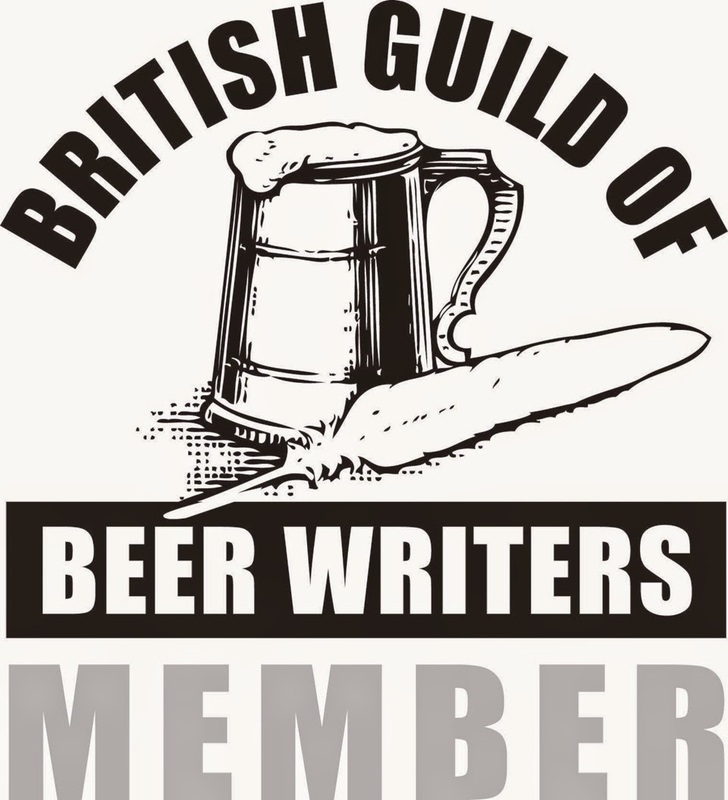 Having attended the Great British Beer Festival on 11th August, when the winning beers were announced, they immediately sampled each beer (for audit purposes, of course) before returning home. They then made contact with each winning brewery to organise collection of three firkins of each beer (if available) the following week. 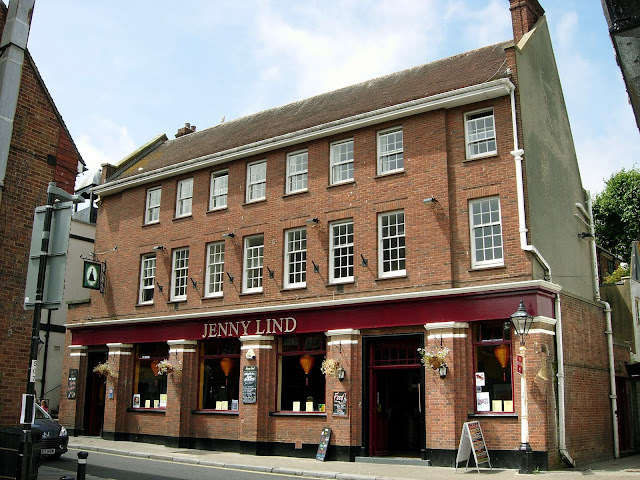 But they did add the Sussex Microbrewery Winner of the 2014 CAMRA Eastbourne Beer Festival: Long Man Brewery Long Blonde, from Litlington, East Sussex, always featured at the Jenny Lind. The beers were returned to the Jenny Lind for storage in the new purposely-built cold room to prepare them for sale commencing the evening of Friday 28th August, the start of the Bank Holiday weekend, when the pub will be promoting this showcase of eight beers from eight great breweries with a great, live musical act every day of the four-day event.